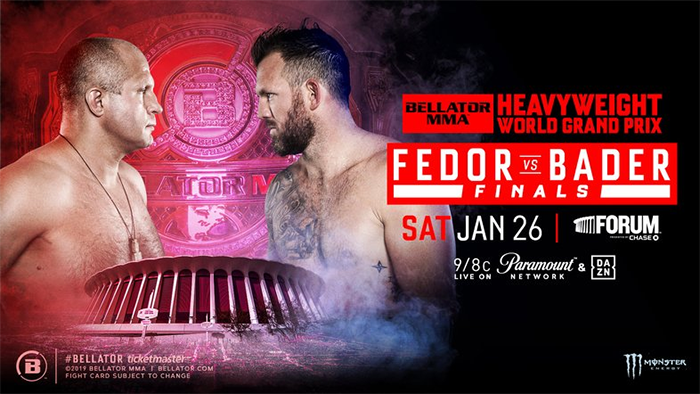 Bellator 214: Fedor vs. Bader is a mixed martial arts event scheduled to take place on January 26, 2019 at The Forum in Inglewood, California, United States. Heavyweight Fedor Emelianenko vs. Ryan Bader WGP Final for the Bellator Heavyweight World Title. This event will conclude the Bellator Heavyweight World Grand Prix by rewarding the winner of the main event with the Bellator Heavyweight championship. This belt was vacated in May 2016 by Vitaly Minakov, who had not defended the title since April 2014. Fedor Emelianenko and current Bellator Light Heavyweight champion Ryan Bader both advanced to the finals. A featherweight bout between elite prospects Aaron Pico and Henry Corrales was announced for the event on November 7, 2018. On November 19, 2018, it was announced that Bellator Middleweight Champion Gegard Mousasi would be defending the title against Rafael Lovato Jr. in the co main event. 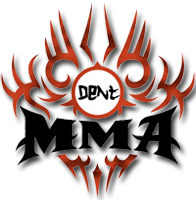 However, Mousasi pulled out on December 19 due to back injury and Lovato was eventually pulled from the card. On December 3, 2018, it was announced that Bellator 214 would feature the MMA debut of former WWE World Heavyweight Champion and NCAA Division I All-American Jake Hager. All the winners on the main card had great performances! It was an entertaining event imo. Looks like Bellator is picking it up this year as well with European events and the welterweight tournament. Good stuff.